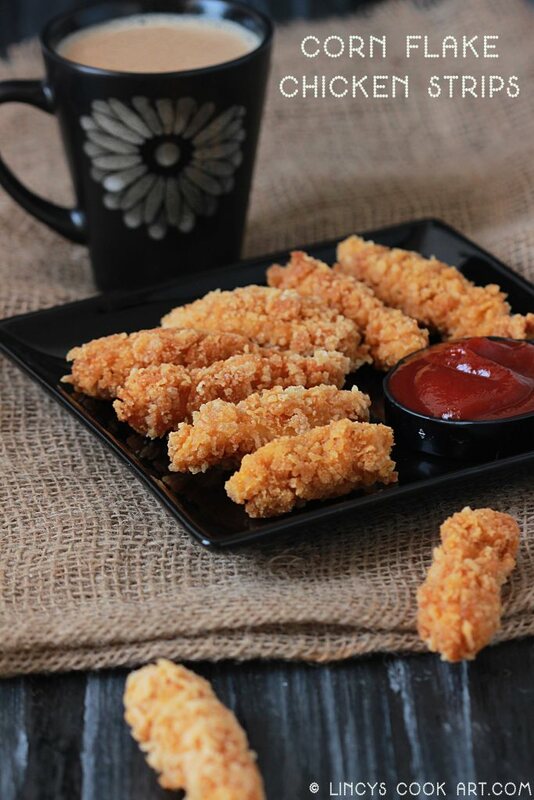 I have already shared Oats Chicken Fingers, Bread Crumbs coated chicken Fingers in my blog earlier which are so easy to make and also a kid friendly dish. A perfect starter or a snack. Kids love this finger food and it is also an easy to make dish to rock the party. When i made this the whole lot went in a jiffy. I have reserved some for making a burger using this strips. Crunchy coating with the juicy chicken inside is the highlight of the dish. It tastes similar to the fried chicken we buy from popular restaurants. It is a home style version of the tasty chicken finger. You could use big pinch of any dry herbs like thyme, oregano for more flavour. In a wide bowl add the all purpose flour, corn flour, turmeric powder, chilli powder, pepper powder, ginger garlic paste, egg, sugar and salt. Mix well. Now add water / milk / butter milk to dilute to make a thin bajji like batter (or) with pancake batter consistency. Wash and cut the chicken in to thin long strips then cut the strips in a slanting manner to get more surface area. Now it seems very small after coating it becomes reasonably big. Now add the chicken strips and allow to soak for 5- 15 minutes. Keep the cornflakes inside a zip lock bag and roll it using a rolling pin to roughly crush them. Spread cornflakes in a flat plate. Take the strips one by one and roll them over the cornflakes. It automatically sticks. Slightly press with hand if required. Set aside in a flat plate. You could bake or air fry this strips too. Now heat oil in a pan; once it becomes hot reduce the flames and start frying the strips on medium to low flame. Once the strips starts to become golden, drain the strips from oil using a slotted spoon and keep on top of a kitchen towel to drain excess oil. Serve with tomato ketch up or any dipping sauce as you like. Note: Adjust the spice level according to your taste. Include some Italian herbs for more flavour. Great article. Look your Chicken fingers so delicious and stimulate of taste too. 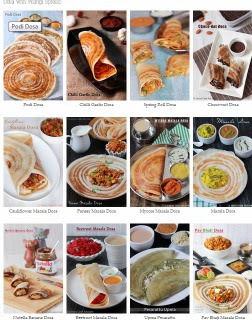 This food looks very yummy. Love to eat chicken. The recipe is very delicious and easy to make. Thank you for this easy recipe you share with us. Waiting for your next recipe. AWESOME! I love the skin of this recipe, looks very crunchy and delicious. Can't wait to try it now. Keep up the good work, Lincy!